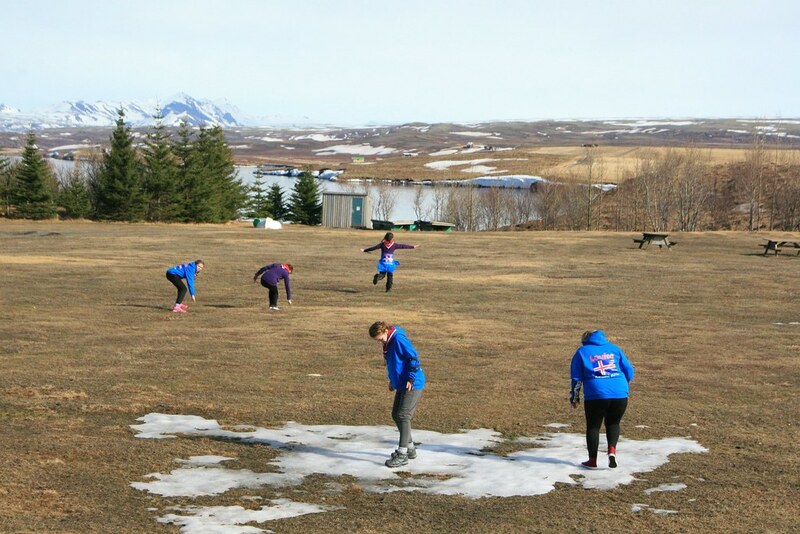 During Easter, I spent a week leading a fantastic group of girls and leaders from Girlguiding Middlesex East on a trip to Iceland. 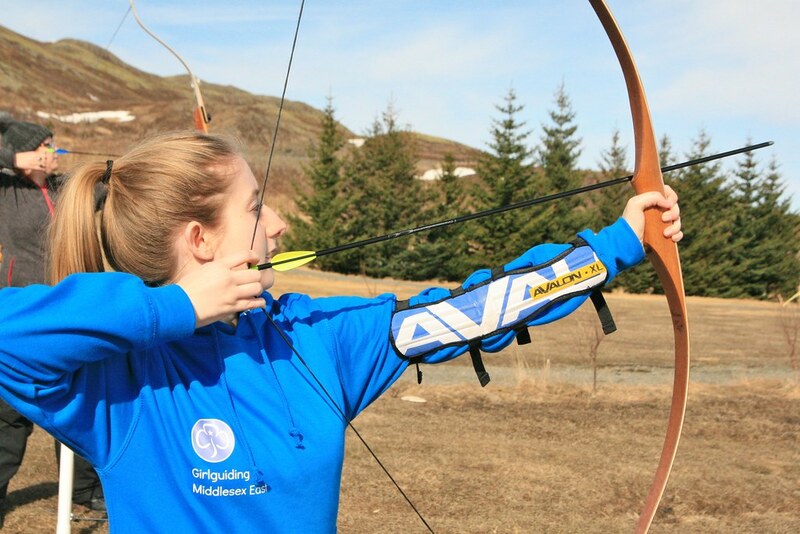 One morning was spent on our beautiful campsite Ulfljotsvatn, (you can see their website here) and Elin, one of the centre leaders, taught us a little archery. 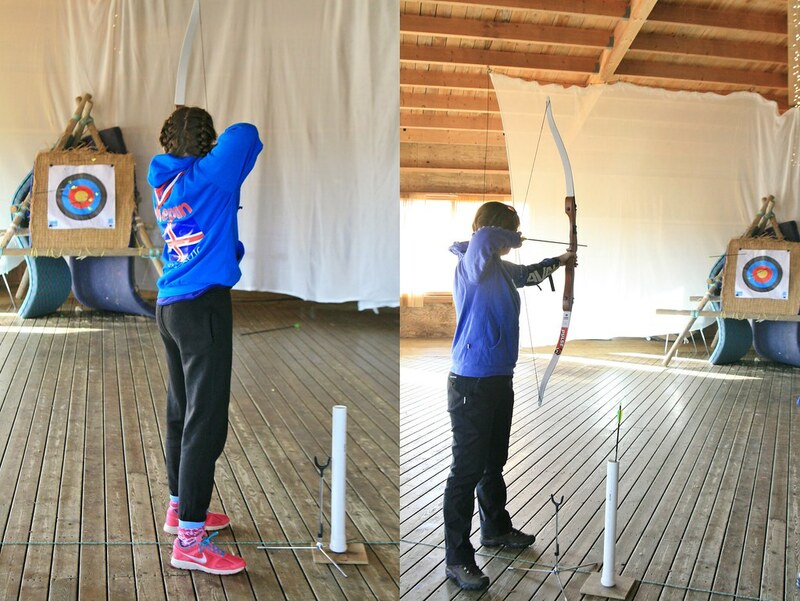 We spent some time learning how to shoot, and then using a sight on the bow to improve our aim. Mine somehow got worse. 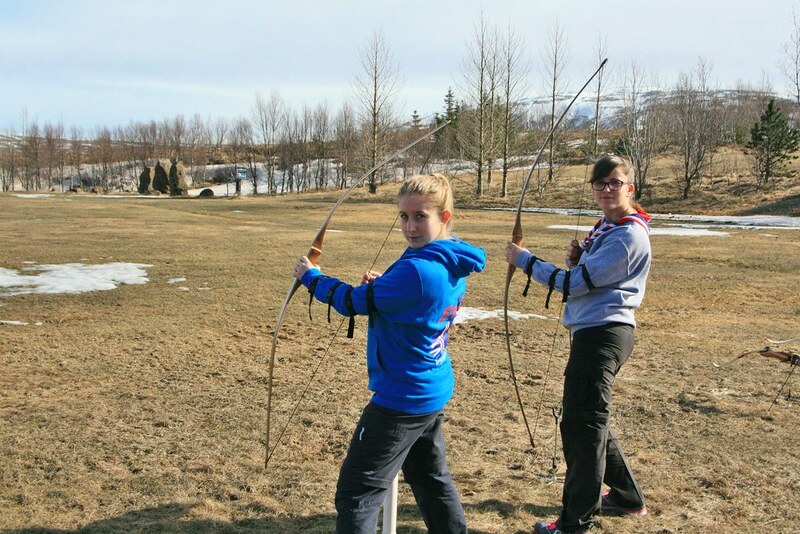 However, we soon got the hang of it, and we managed to get more and more arrows on target. Once we'd got our technique down, the competition started! We played a range of team games involving target practice with point scoring, target practice with balloons - trying to pop some, and avoid others! - and trying to put an arrow in small bit of paper with your name on to stay in during a knock-out competition. Yours truly was sadly defeated in the final. Then it was time to head outside. The lure of this amazing site is unmistakable; the views were wonderful from every angle, the campsite is vast and we were able to roam around and take in as much as we could! 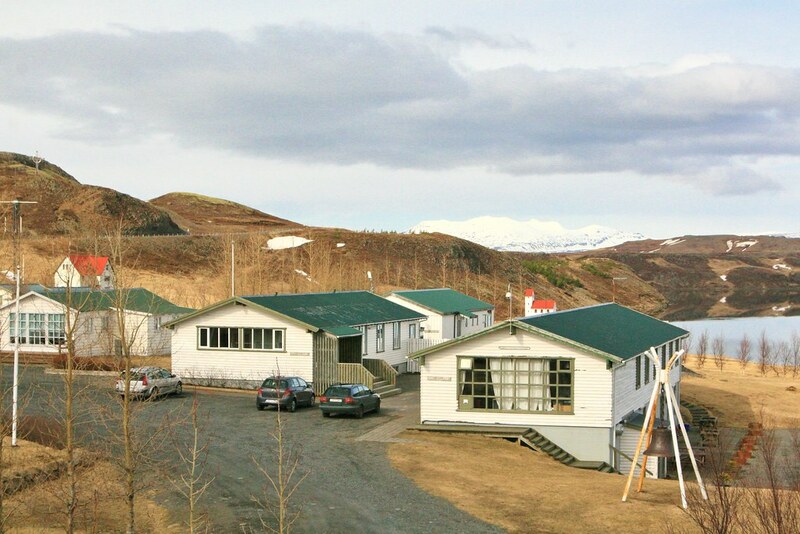 As we visited Iceland in April, we stayed indoors, in these lovely cabins which were warm and cosy, and the staff made us very welcome. A firm favourite was the QM who quickly learned about our love of cake and produced fresh baked goods daily, not to mention freshly baked bread in the morning for breakfast, amazing, warming, cinnamon porridge which heated us right through, home-made pizza and tasty fajitas. 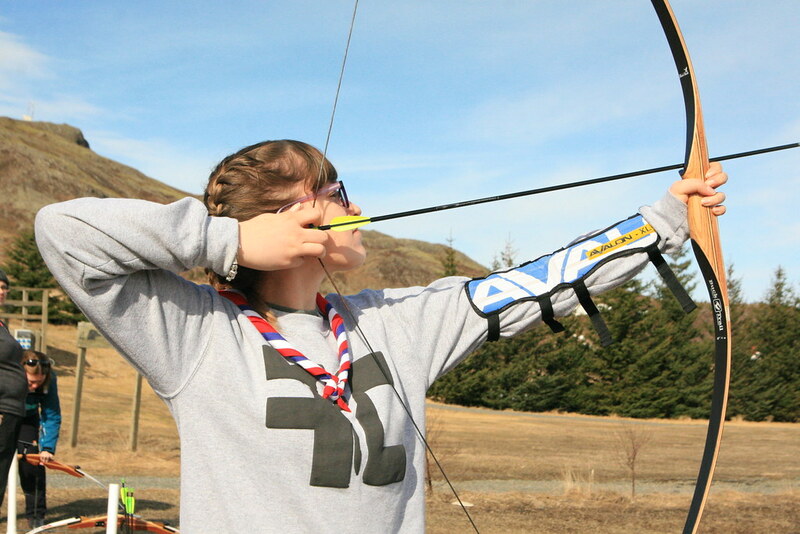 But back to archery. 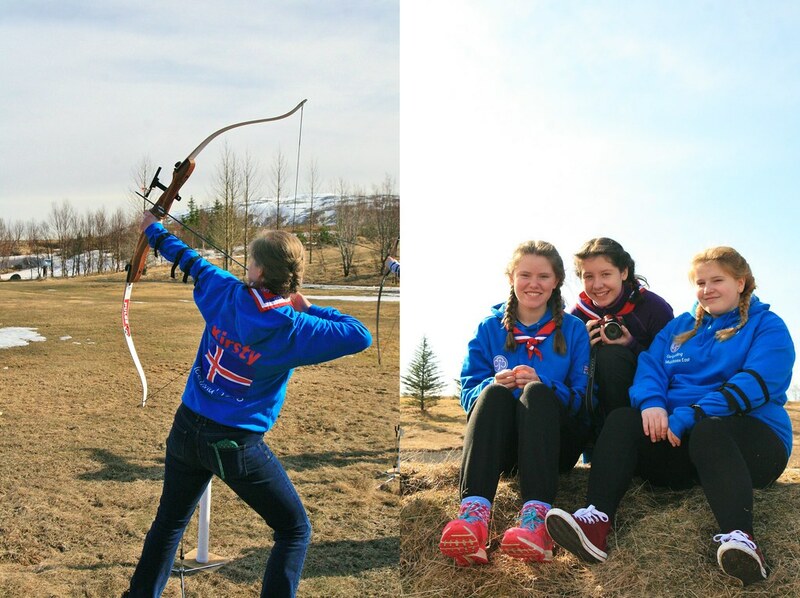 Elin offered us the chance to take our bows outside and see how far we could shoot an arrow. This suggestion was met with an enthusiastic chorus of agreement, and we grabbed the stuff and headed out. We had two rules: Rule 1 was to aim at the lake. Rule 2 was that you had to go and collect any arrows you fired. And so here are the gallant Senior Section hunting for arrows and getting a bit distracted by playing in the snow. We fired a lot, and only lost one, so I don't think that's too bad. 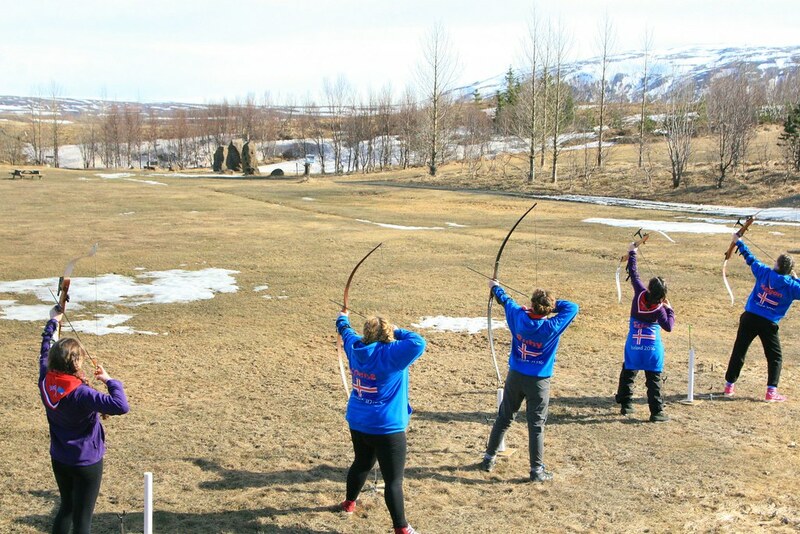 We had the opportunity to try shooting both the recurved bows and a longbow, and the air was filled with the sound of twanging strings and gleeful shouts as arrows pinged into the air and we all imagined ourselves fearless warriors. As you can see, the Senior Section look appropriately impressed. And so they should. It was a fantastic morning in a great setting: I couldn't recommend it more! 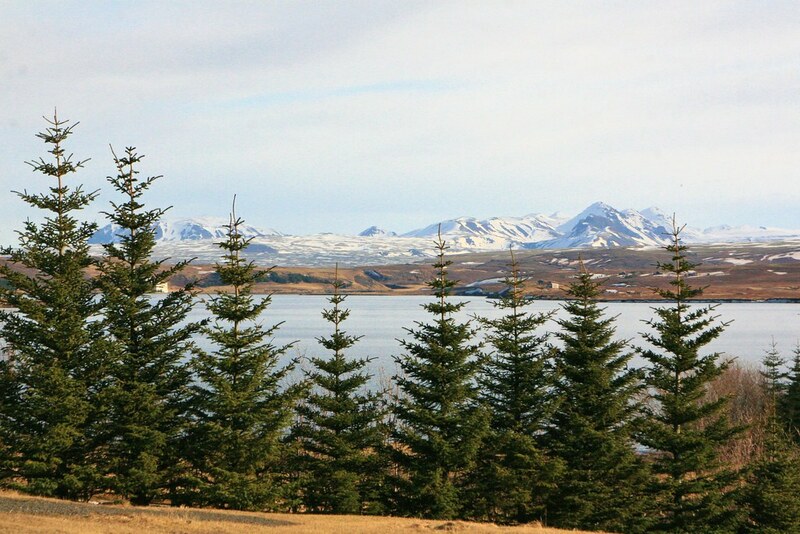 The Scout Moot in 2017 is going to be held here and 5000 Guides and Scouts will arrive to camp and explore. We were certainly lucky to have the site to ourselves! P.S. I'll be posting about our different aspects of our trip over the next week or two. 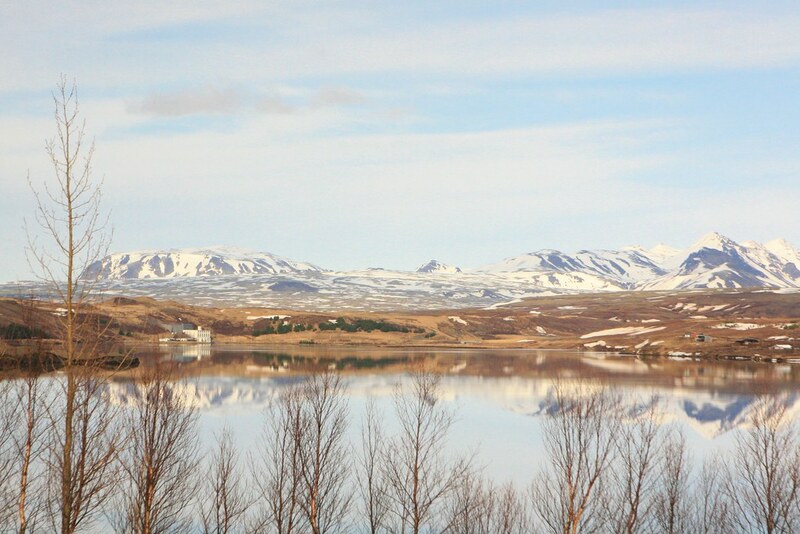 You can read about our day trip to Reykjavik here, and our Glacier hike here. 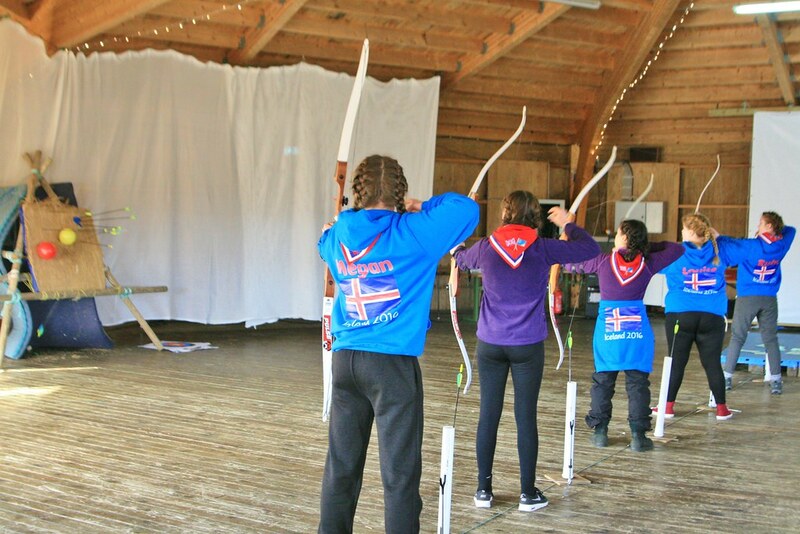 Its most important to think about the the brand and quality of bow. Because, quality is most important for the recurve bow and samick sage bow is my first choice. That is really better than any others bow. Hey would you mind letting me know which webhost you’re working with? I’ve loaded your blog in 3 different internet browsers and I must say this blog loads a lot faster then most. Can you recommend a good internet hosting provider at a reasonable price? Cheers, I appreciate it! Hello there, I found your blog via Google at the same time as searching for a similar subject, your site got here up, it seems to be great. I have bookmarked it in my google bookmarks.